were scanned and color images were produced digitally from the scanned red, green, and blue monochrome images, using a process called Digichromatography which was developed by Walter Frankhauser. In 2004, the Library contracted with Blaise Agüera y Arcas to produce an automated color composite of each of the 1,902 negatives from the high resolution digital images of the glass plate negatives. A complete description of his process and a list of other sites that have prepared digital color composite images are in the collection profile at the Library of Congress. And here are the few photos of some churches in Seliger region that were made by Prokudin-Gorskii almost 100 years ago and each photo goes with a corresponding photo of the same place made nowadays. 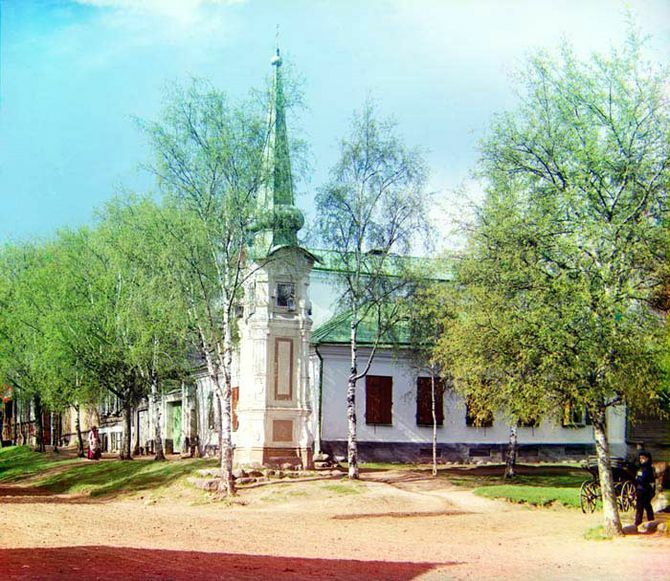 Church in Ostashkov small town, 96 years ago. Check out the horse coach on the right. In the beginning of the 20th century when in the USA there were already 1,000,000 people in Russia there were only a few hundreds of passenger cars, the most common mean of transport was a horse powered transport. 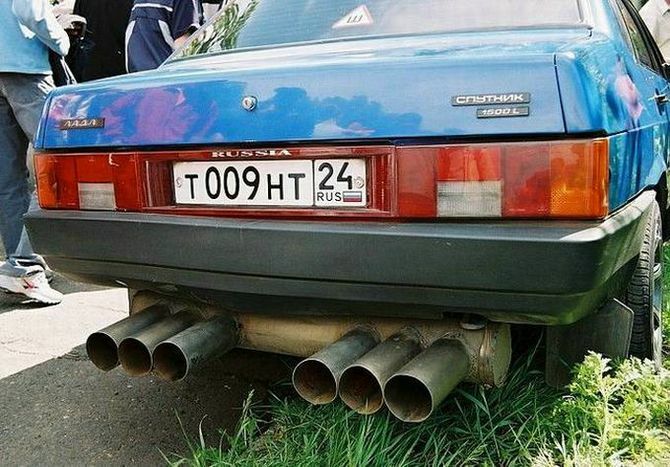 This is Lada 21099 with some heavy heavy tuning. It's so heavy that it can probably barely move. their point of view, which doesn’t differ from a point of a Russian Orthodox Church officials, Madonna shouldn’t have a concert in September, 2006 in Moscow. She simply doesn’t have any right for that, because from their point of view she is totally evil pop star. 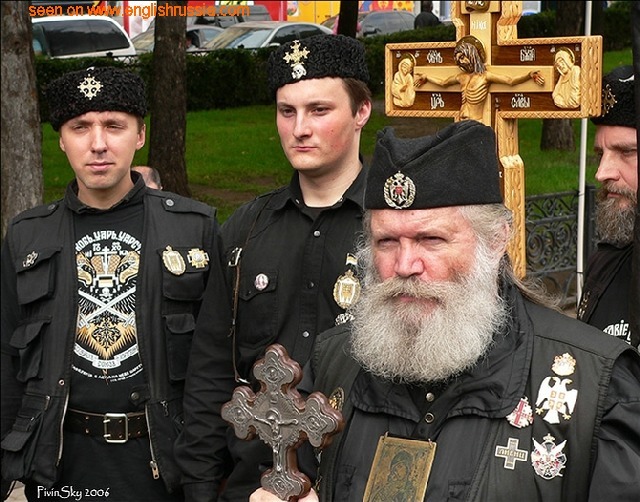 They wear black cloths which is a wild mix of German Nazi military cloths with some Russian military elements and a lot of Christian symbolics and items. Working Students or Studying Workers? by and now we can see more and more working students that sometimes seem to be studying workers. 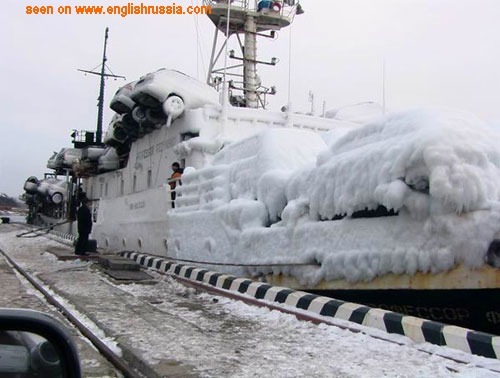 In St.-Petersburg there are a lot of ways to earn and places to work. Let’s see the most acceptable for students. fortunate had to leave such places without any hope to find a new home, just because the shops stopped working, water stopped coming out of the facet and nobody cared about them any more. 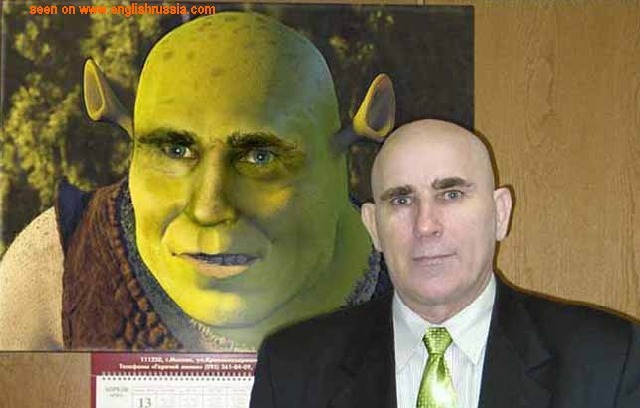 It has been said that even president Putin was thinking to retire from KGB in 1990 and go to work as a taxi driver. Many people are now probably express great sorrow that he changed his mind at that time. 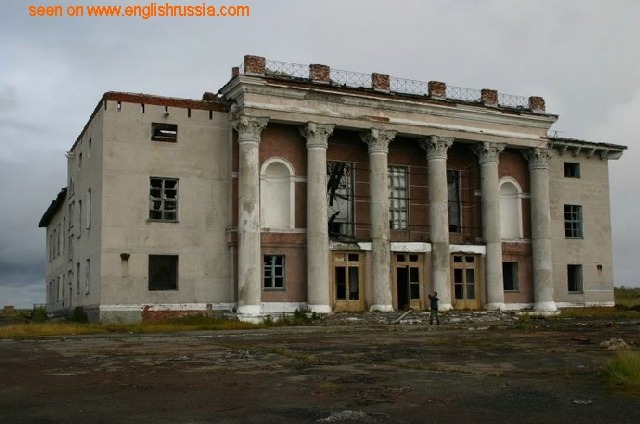 Ok, so here are the photos: Just imagine how magnificient those buildings were before abandoned.